Sam Lester, a consumer privacy lawyer for the Electronic Privacy Information Center in Washington, D.C., says, “This is a very bad idea, if they do decide to implement this technology, the first thing we would want and expect is to know which privacy expectations are in place.” Although, at this time it is unclear how the recorded conversations will be used, how long they will be kept on file and who will have access to them. 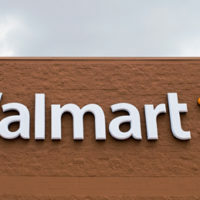 According to Walmart’s director of corporate communications Ragan Dickens, the audio would mostly be reviewed by computers and will not be “analyzing the words” it picks up. The patent states that a performance metric might be “based on the content of the conversation” to find if employees are following a specific script or greeting. Lester is not the only one who thinks that this new surveillance technology is a bad idea. In the past, Walmart has had employees fight the company’s surveillance efforts. Walmart began using intelligence-gathering and monitoring of employee’s activities after the union-backed employees protested inconsistent schedules and low wages. Along with the employees, customers may unknowingly have their conversations recorded. The surveillance system may be deemed illegal in the 12 states that have two-party consent laws, which does not allow the recording of people without their consent. Walmart operates in all 50 states. Dickens says, “I can assure you if the concept became a reality, we would comply with state and local laws,” and adds that employees would be notified about the sensors before installation. Dickens continued to say that Walmart frequently files patents, “but that doesn’t mean the patents will actually be implemented,” and that they are always working on new ideas to improve customer service. The potential cost of the system has not become available as of yet, and Walmart has stated that the patent is only a concept.